Team vs Team event organized by Arma Finland [AFI] with goal of 150 players from different communities. June 1944: In the wake of the Western Allied amphibious assault in the coasts of France, the Soviet start to push their efforts into ending the war in Finland, thus enabling to divert their forces into breaking through Axis frontlines in the heartland of Germany. After many years of quiet trench warfare, the Finns find themselves overwhelmed by the strength of the Soviet war machine. Luckily, the Finns have managed to acquire new German weapons and allied Swedish volunteers make up for numbers that the Finns desperately need right now. Soviet forces have managed to breach the Mannerheim Line, but can the Finns fend off the siege and occupation of Finland looming in the horizon? 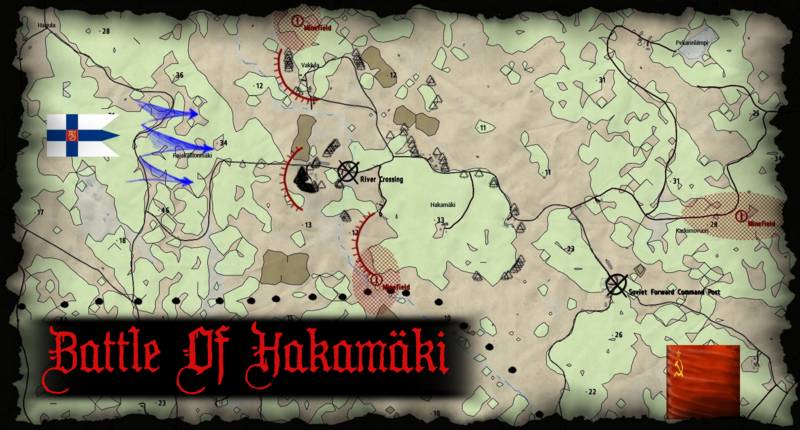 Join our event, Battle of Hakamäki to find out the outcome of the brutal firestorm that was known as the Karelian front in the summer of 1944. Mission played will be with respawn and if time permits, another mission with single life. Missions are set in the continuation war, between Finnish and Soviet forces. After suffering heavy casualties, Theseus combined forces with UST101 and successfully defended a city in Takistan until reinforcements arrived. Combined force also aided in an attack on Bukovina airfield using tracked vehicles and succeeded in seizing the area.